Last weekend I had a travel story featured in the Sunday edition of Svenska Dagbladet (one of the biggest newspapers in Sweden). I travel quite often together with the journalist Evelyn Pesikan and this article is about lovely Bretagne in northwest France. 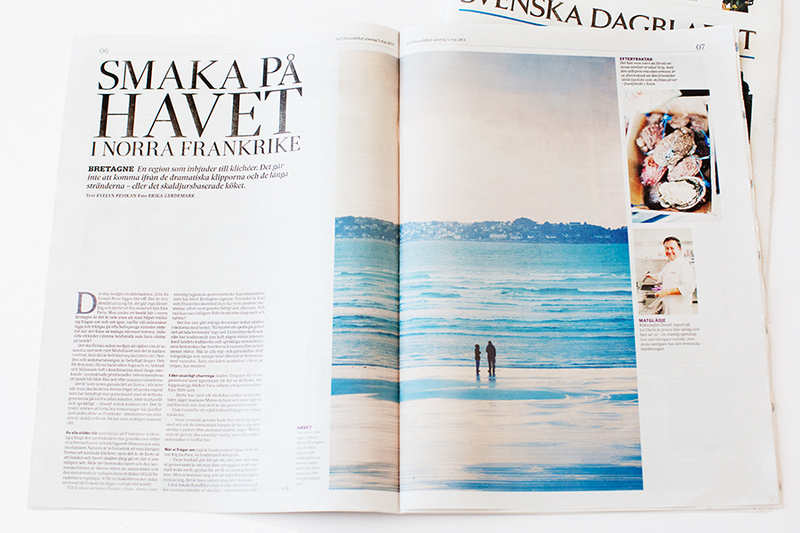 I'm also happy for the cover photo of SvD Travel & Food. At the moment I am in Ireland for some more magazine work and I just love it here. The fairytale landscape takes my breath away. Go follow me on Instagram if you would like to see some behind the scenes photos (my username is erika_gerdemark).